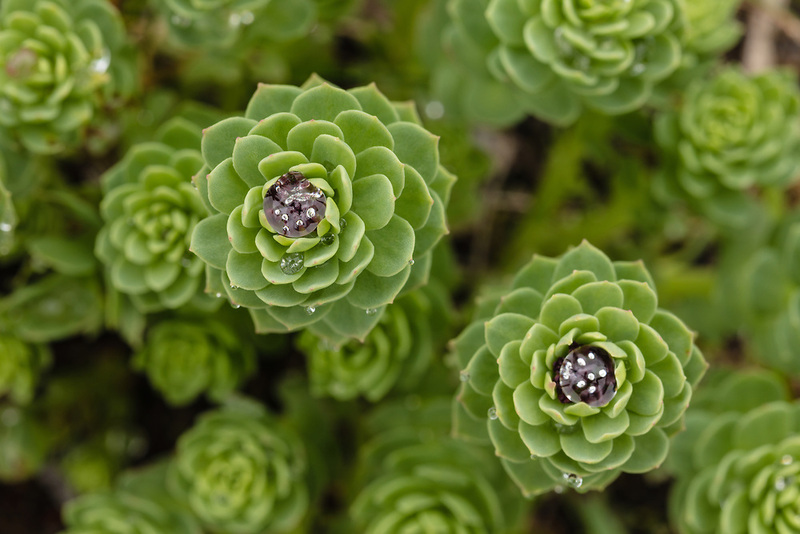 Dew on Roseroot (Sedum rosea) at Thompson Pass near Valdez in Southcentrral Alaska. Summer. Afternoon.